The Business Law Group was very proud to take part in the successful transaction of Central Interconnect. Central Interconnect is a great example of a small business opportunity for potential buyers. It was run very well by the seller and had a strong infrastructure in place to ensure the transition would be a success. The new owners have some big visions for where this Grand Rapids small business can go. We can't wait to see what the future holds. Thank you to everyone that helped make this transaction a success. You can read more about this deal by clicking here. Getting into business can be a confusing process. You may be interested in the prospect of being the owner of a company but you don’t know the first place to start. This can seem like a huge hurdle to overcome but all the businesses you see every day were business opportunities that found owners somehow. So how do you find a business opportunity? Business opportunities are everywhere. You need to know what you are looking for though. Living in a time period where instant gratification has become the norm, we can sometimes expect that we should be able to jump online and spot business opportunities or find a website that has collected all of the current business opportunities. As an owner of a Grand Rapids startup or Michigan business, it can be tough to figure out what type of business strategy you should implement. Big sales numbers are great but potential to growth is so exciting. Is it better to have a business with a lot of potential for growth or for you to have a business with a lot of sales? The two are not mutually exclusive. 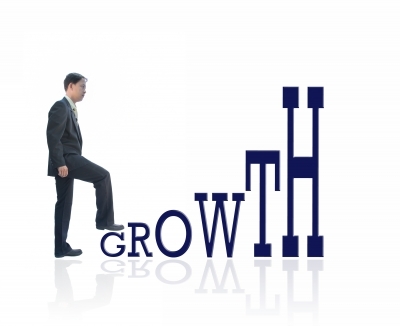 A business can have a high volume of sales and still have a massive amount of growth potential. At the same time you can have a business with little room to grow and have very low sales also. Think of this like a graphing exercise. Along the horizontal axis you have your business’ growth potential and along the vertical access you measure your business’ sales volume. You can obviously have a business fall into the upper-left quarter of the graph (high sales-low growth) or the lower-right quarter (high growth-low sales). At the same time, some businesses fall into the other two quadrants too.